A Calgary college has been renamed Mount Royal University, making the city home to two universities. The name change was announced on Thursday afternoon during a ceremony in which Lt.-Gov. Norman Kwong, who attended Mount Royal College in the 1940s, was to be granted the university’s first honorary bachelor of arts degree. Premier Ed Stelmach told a cheering, standing ovation crowd of staff and students that Mount Royal's name had been changed through an order-in-council. 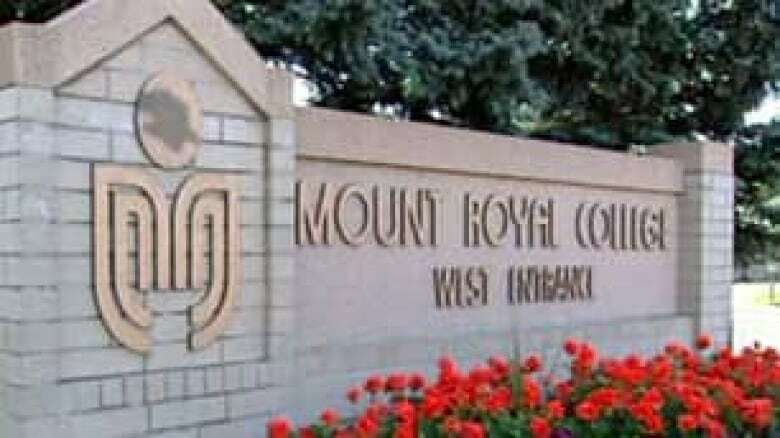 Mount Royal University will still offer certificates, diplomas, applied degrees, and bachelor degrees. However unlike the University of Calgary, which also has a research mandate, the focus at Mount Royal will remain teaching. President David Marshall said work has happened behind the scenes to make sure its four-year bachelor degrees are of university calibre. "This name change simply reflects what we have become," he said. "There is no change to our mandate, just a change to our name." The new name will mean no confusion for employers and universities looking at Mount Royal graduates' credentials, he said. Marshall said about 15 per cent of students are in diploma programs. But he wants to keep those programs and add more degree programs. "There will be more degrees coming in the future," said Marshall. "We hope a bachelor of education is in the not too distant future." David Hyttenrauch, president of the Mount Royal Faculty Association, said graduates will have more opportunity as a result of the new status. They will able to move on to graduate work or transfer to other universities more easily. "It's been difficult over the years for graduates of colleges, generally, to move onto graduate study at universities," he said. "Having the university name doesn't really change the programs we offer, but it changes the national recognition and our status among other institutions." Before the official announcement, Bill Bunn, who has already been named an associate professor, said making the switch from a college to a university won't be easy. "We now get to offer degrees. On the other hand, Mount Royal was an excellent college. And so we will be losing something in the gaining of this new status. "It's going to have an effect on the institution and I don't think anyone knows what that is going to be. We had a culture that was wonderful and we are just hoping that it continues." Mount Royal is now Alberta's fifth university.